Two flavors of cheesecake, pumpkin spice and vanilla, marbled together to give you this addictive dessert for your holiday feasting. Cheesecake has to be one of my favorite desserts out there. Its sweet, tangy, creamy and cold so it covers all kind of flavors that makes it so delicious. This is one of my families favorite desserts for me to bake during the holidays. They request that I make it, even my picky eating nephews love it. Adding pumpkin or pumpkin spice just gives it another level of flavor. Normally cheesecakes are made with plain graham cracker crust but I like to use Speculoos cookies or cinnamon graham crackers to give the crust an added flavor. This is one of the many pumpkin spice recipes that I have made, here are the links to the other recipes: Mini Pumpkin Hand Pies, Pumpkin Spice Cookie Cake, Pumpkin Spice Cheesecake Pop Tarts, Pumpkin Spice Sugar Cookies, Pumpkin Spice Pound Cake, Slow Cooker Pumpkin Butter, Pumpkin Spice Syrup, and Pumpkin Spice Extract. 1. Wrap the bottom of a 9 inch Springform pan with two piece of aluminum foil. Preheat oven to 325 degrees. 2. Smash graham crackers or cookies into a coarse crumb. 3. Melt butter into microwave for 2 to 3 minutes or until melted in 30 second intervals. Let it slightly before adding to the crumbs. Press into the prepared pan evenly in the bottom and 2 inches of the sides. 4. Bake for 5 minutes. Let the crust cool slightly before adding cheesecake mixture. 6. Reserve 1 cup of vanilla cheesecake base. Pour the rest into the prepared crust. Fold in pumpkin puree and pumpkin spice. Dollop pumpkin cheesecake mixture onto the vanilla cheesecake base and swirl lightly with a toothpick or knife. 7. Lower temperature of the oven to 300 degrees. Place cheesecake into a Dutchoven or deep dish pan. Pour hot water up the side of the pan covering at least 2 inches up the springform pan. 8. Bake for 1 hour. After it has baked for 1 1/2 hours turn oven off. Do not open the door. Let the cheesecake sit for 30 minutes with the door closed then crack open the oven door. Let the cheesecake set for 2 hours before removing. 9. Cover cheesecake and place in refrigerator for at least 12 hours. Serve it with whipped cream. Tip: If baking for the holidays, bake it at least 2 to 3 days ahead. I like to let my cheesecake sit for that long before serving. Make sure all ingredients are room temperature. This pumpkin cheesecake sounds Amazing! This would definitely be a hit in my cheesecake loving family! This pumpkin cheesecake sounds Amazing! This would definitely be a hit with my cheesecake loving family. Perfect for the Holidays! This looks so easy to make and delicious. I need to try this for Thanksgiving! 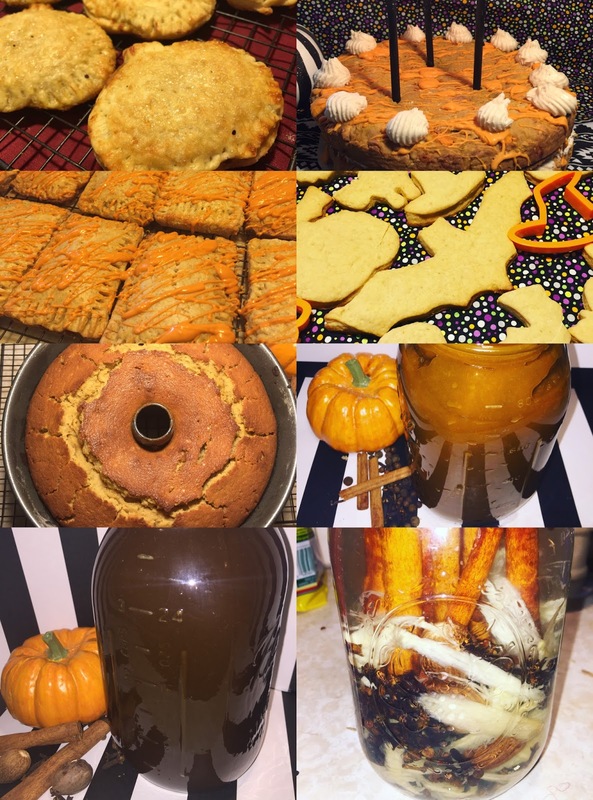 I love everything pumpkin, must try this one! Thats an interesting flavor combination. Havent tried it yet. This is such a special dessert for a holiday table. Great flavor mix too. Cheesecake is probably my favorite dessert. I must try this, sounds amazing! This looks amazing! I have bookmarked it to come back to later! This looks mouthwatering! Can't wait to make this for Thanksgiving! OMG! Pumpkin spice is everywhere! But I love it! This cheesecake looks delicious. Thanks for the recipe! Your creativity with these pumpkin desserts is commendable!!!! Another amazing recipe! That looks super yum, can't wait to try! Wow, I love pumpkin spice and this looks heavenly. Your pictures and step by step instructions make it seem so easy. I will have to try it. Oh my goodness! This is actually tempting and mouth watering! This pumpkin spice cheesecake looks so delightful and tasty. I will definitely try to make this one. 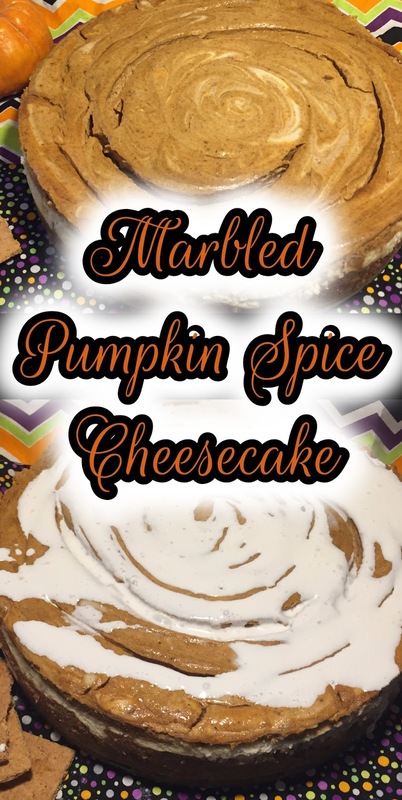 I have seen lots of pumpkin spice recipes lately i like that this one is marbled. This looks so cool and absolutely delicious! Marbled pumpkin cheesecake! Brilliant! I'll be using this next week, thank you! That is a nice twist for the base! Great recipe. That sounds like the perfect dessert for fall. I love all things pumpkin, but a pumpkin spice cheesecake would be delightful. More pumpkin spice goodness. This looks delicious. Oh wow! What an amazing twist to put on pumpkin. I bet this tastes amazing! I adore cheesecake it’s one of my favorites as well. This recipe is perfect just in time for holiday season. This look so appealing! But in my place, pumpkin is quite expensive. We seldom buy it. This looks delicious! I can't wait to try it this Thanksgiving. This looks so yummy! Can't wait to try it out!